Lyman Wight (1796–1858) was an early apostle of the church. He was the leader of the Latter-day Saints in Daviess County, Missouri in 1838. In 1841, he was ordained as a member of the Quorum of the Twelve Apostles. After the death of Joseph Smith, Jr., Wight led his own group of Latter Day Saints to Texas, where they created a settlement. While in Texas, Wight broke with other factions of Latter-day Saints. He was later ordained President of his own church, After his death, most of the "Wightites" (as members of this church were called) joined with the Reorganization. Lyman Wight was born May 9, 1796, in Fairfield, New York. He fought in the War of 1812. He united with Isaac Morley and others in forming a common stock Utopian society in Kirtland, Ohio. He was baptized by Oliver Cowdery in 1830. He was ordained a high priest in June of 1831. He claimed to have seen Jesus Christ. Shortly afterwards, he went to Missouri, and later Cincinnati, Ohio, to preach. There he baptized over 100 people. With many of his converted people, he went to settle in Independence, Missouri, to build the "City of Zion". The Mormons in Jackson County were at odds with their non-Mormon neighbors, who resorted to vigilantism to drive the church from the county. In one scuffle with a vigilante group, Wight outran them on bare horseback by jumping over a ditch that they could not jump. On July 23, 1833, Wight signed an agreement with the vigilantes which specified that the Latter-day Saints would leave Jackson County by 1834. The Saints were driven out anyway into neighboring Clay County. The church membership called on several elders to go up to Kirtland to tell Joseph Smith about the events. When the elders refused, Lyman stepped forward to make the journey, despite his wife being ill with a three-day old child and only three days of food. Parley P. Pratt also volunteered to go with Wight. He arrived in Kirtland, Ohio on February 22, 1834. Two days later he and Pratt testified about the conflict in Missouri to the newly formed high council. This led to the organization of Zion's Camp. Joseph sent out men two-by-two to recruit volunteers. Lyman left on April 21 with Hyrum Smith to recruit from the northwest. Recruitment was difficult, as many people did not want to leave their homes to defend someone else's. Hyrum and Lyman recruited about twenty individuals, including Hosea Stout, who was not a member but was impressed with their preaching. They met with the main company on June 8 at the Salt River in Missouri, bringing the total to 207 men, 11 women, 11 children, and 25 wagons. Lyman tolerated the conditions of the rest of the company including the eating of moldy and rancid food, under the promises from Joseph Smith that they would not be afflicted by it. After a 900 mile march, the members of the camp reached Missouri, where some were smitten with cholera. They were then discharged without having accomplished their goal of returning the Latter-day Saints to Jackson County. Revelation showed that the camp had served its purpose of providing an "Abrahamic sacrifice" opportunity for the men involved. Those who were faithful avoided the illnesses that afflicted others and became future leaders in the Church. At the end of Zion's Camp, Lyman Wight wrote up the discharge orders, and remained in Missouri according to Joseph's command. For the remainder of 1834, he worked making bricks in Missouri, and built a large brick house for Colonel Arthur of Clay County, employing several others, including Wilford Woodruff. He preached about two hours, reproving them most severely for their meanness, wickedness and mobocratic spirit. At the close of the meeting he said, "If there is a gentleman in this congregation, I wish he would invite me to stay with him overnight." Whereupon, a gentleman stepped forward and tendered him an invitation, which he willingly accepted. His host said, "Mr Wight, it is astonishing how you have become so well acquainted with the people here, for you have described them very correctly." He was kindly entertained and furnished with money in the morning to aid him on his journey. Staying the winter in Kirtland, Lyman set out to return to Missouri in 1836. In 1837, David W. Patten accused him of teaching false doctrine, for which he was tried before the high council in Far West. Being found guilty, he made the necessary acknowledgments. Settling near the Grand River in Daviess County, Missouri, on about February 1, 1838, Lyman Wight built a house and later a ferry, which became known as "Wight's Ferry". On May 19, 1838, Joseph Smith, Jr. paid a visit to Lyman's home and ferry, and used his home as the headquarters during his visit. It was from his house that Smith received revelation about Adam-ondi-Ahman and foretold the future gathering there. On June 28, 1838, at a conference of local church members, Joseph Smith organized a stake at Adam-ondi-Ahman with John Smith, Joseph's uncle as president, and Reynolds Calhoon and Lyman Wight as counselors. With the organization, members began settling in the area, including new members and refugees from Kirtland, Ohio. Wight had also become a Colonel in the 50th regiment of the Missouri Regiment, in the state militia, under the command of General H. G. Parks. By end of June, he was also head of the Danite organization in Daviess County. Between his several roles, Wight became the preeminent leader of the Latter-day Saints in Daviess. In the summer of 1838, the troubles of the Mormon War began with events on the Gallatin Election Day Battle. In response, Wight armed over 150 men at this time to defend the Latter-day Saints in Daviess. Lyman Wight was accused, along with Joseph Smith, of organizing an army and threatening and harassing various old settlers of Daviess County. Joseph and Lyman agreed to hold trial to ease the tensions in the area. On September 7, 1838, they were tried before Judge Austin A. King. The judge ordered them to stand trial before the circuit court on bail of $500. After the trial, emotions did not abate on either side. The Mormons and non-Mormons in Daviess engaged in non-fatal conflicts. Non-Mormon vigilantes from other counties came to Daviess and began to harass the Latter-day Saints in outlying areas, burning their homes and looting their property. Refugees began pouring into Adam-ondi-Ahman, seeking protection. The Mormon response was to call up armed volunteers from Caldwell County. Combining with the Daviess men, the Mormons split into three groups and raided the chief non-Mormon settlements. Wight led the raid on Millport. The old settlers and their families fled and Wight and his men looted their property and burned their homes to the ground (Baugh, pp. 86-87). Following these actions, the Battle of Crooked River took place. Joseph Smith advised every church member to go to Adam-ondi-Ahman or Far West for protection and strength. When Far West fell under siege after the infamous Extermination Order, Lyman Wight organized members in Adam-ondi-Ahman to assist them. No battle took place, however, as Wight and the other Mormon leaders were arrested by the state militia and the Mormon militia subsequently surrendered. While in custody of the state troops, Lyman endured the mockery and vulgarity of the troops, lying in the ground in the rain. A court martial which might have led to Wight's execution was averted by General Alexander William Doniphan of Clay County, who challenged the legality of any such court. Instead, Wight and the other leaders were tried in the civil courts. Wight and other leaders were able to escape from jail during their transfer to Boone County on April 16, 1839. Lyman Wight was ordained an apostle on April 8, 1841 by Joseph Smith to replace David W. Patten, who died in the Battle of Crooked River in 1838. After the death of Joseph Smith, Wight felt compelled to follow the orders Joseph Smith had given him to found a safe haven for the Latter-day Saints in the Republic of Texas. 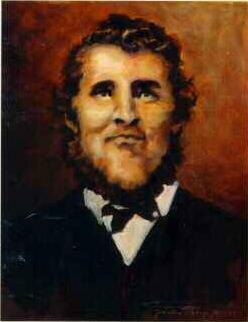 Wight moved a group of Latter-day Saints there and eventually founded the colony of Zodiac, Texas. Brigham Young tried to get Wight to join the main body of of the Church in Utah many times, but Wight refused each time. The Church of Jesus Christ of Latter-day Saints disfellowshipped Wight in 1848 and later excommunicated him. Wight would go on to recognize various sects of the Church later in his life. Ultimately, he fell in line with the Reorganized church (now the Community of Christ) before passing away suddenly of epileptic fits. Baugh, Alexander L., A Call to Arms: The 1838 Mormon Defense of Northern Missouri, BYU Studies, 2000. This page was last edited on 24 July 2013, at 13:29.